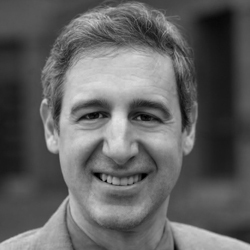 James M. Radner is Assistant Professor, Munk School of Global Affairs and Public Policy, Senior Fellow at the Center on the Developing Child at Harvard University, and Research Director of the TruePoint Center for Higher Ambition Leadership. He has wide experience in civil society and international development, including positions at community health, education and economic development organizations, as well as program and management work at Amnesty International U.S.A., and action research, program evaluation and consulting assignments for governments, aid institutions, businesses and civic organizations. Prof. Radner obtained a B.A. from Harvard University, an M.Phil. from the University of Cambridge, and a P.M.D. from Harvard Business School. Radner, James M., Ferrer, Marvin J.S., McMahon, Dominique, Shankar, Anuraj H., and Silver, Karlee L. (2018) “Practical considerations for transitioning early childhood interventions to scale,” The Annals of New York Academy of Sciences. Shonkoff, Jack P., Radner, James M., and Foote, Nathaniel (2016) “Expanding the evidence base to drive more productive early childhood investment,” The Lancet.